What also comes as no surprise is that, even as the media were assailing Trump as a sexist during the campaign, Chozick covered up the real-time sexism she and other so-called reporters personally faced from male Hillary staffers. According to Carlos Lozada’s review of Chozick’s upcoming book in the far-left Washington Post, Chozick is still covering up for these men. While the author identifies Hillary’s female staffers by name, she protects the men by using nicknames like Original Guy, Brown Loafers Guy, Policy Guy. Overall, she refers to them as The Guys. “The Guys constantly mess with Chozick, magnifying her self-doubts,” Lozada explains. “I don’t care what you write because no one takes you seriously,” Outsider Guy tells her. While Chozick interprets these attempts to undermine her confidence as sexism, other episodes are so overt they required no interpretation. According to Chozick, this sexism included unwanted touching, which was not just directed at her; it was so bad, other reporters nicknamed him “Hands Across America,” or “HAA” for short. “HAA exhibited generally creepy behavior, but seemed more pitiful and effeminate than threatening, which is why I tried to ignore his rubbing up and down my back,” Chozick explains. 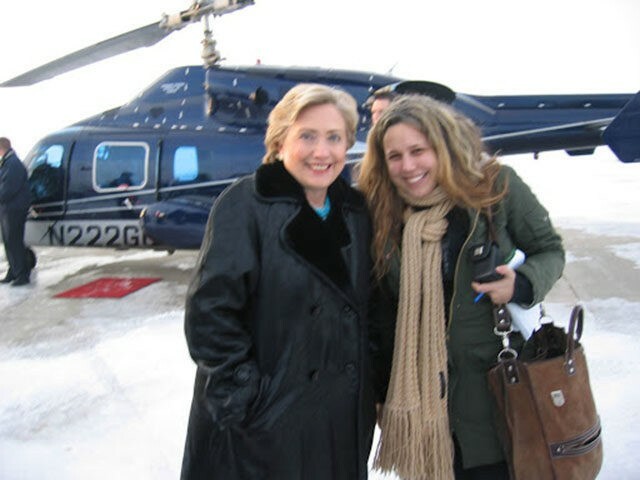 Nevertheless, according to Lozada, HAA is Clinton’s spiritual adviser, Burns Strider, and it would take Chozick until January 2018 to finally report on his behavior in a Times story laughably titled “Hillary Clinton Chose to Shield a Top Adviser Accused of Harassment in 2008.” What is laughable is that it was not just Hillary “shielding” this man; it was those who claim to be journalists.